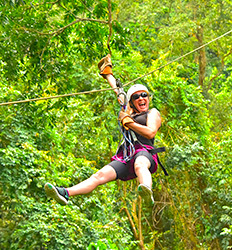 If you are coming to Costa Rica for just one day on your cruise ship, The Real Deal Tours offers a great selection of tours that you will not find on offered through your cruise ships. 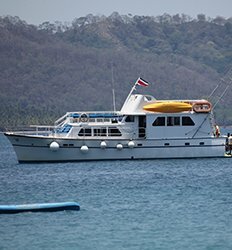 We work with local operators and small more intimate groups so your shore excursion in Costa Rica is uniquely your own experience. 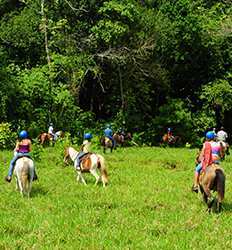 What is even better is that we offer discount shore excursions so you not only have a once in a lifetime experience, you have money left over to buy souvenirs from your favorite Costa Rica experiences. Rainforest teaming with Scarlet Macaws soaring and waterfalls spilling into pristine Pacific beaches... If that sounds like Paradise to you, then we strongly recommend you leave port and head south to the Central Pacific region. 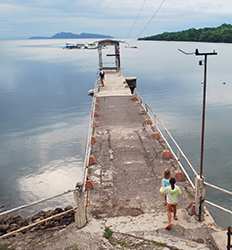 Just over an hour away on a scenic coastal & jungle highway heading south, Herradura, Jaco, and Hermosa are all great jump off points whether you are seeking out wildlife and waterfalls or sunshine and surf. Below is a list of shore excursions available from Puntarenas or Caldera cruise ship terminals, however if you do not see something you like here, you can also select one of the tours available from Jaco or Manuel Antonio and we can provide you with a quote for private transportation. So don't follow the cruise ship crowds, let The Real Deal Tours provide you with a Real Costa Rican Experience.